Your gums are for life and many of us simply forget about this important truth. Yes, our teeth are very important too, but when worst comes to the worst we can replace them… we cannot replace our gums. So what to do in order to protect our gums? Look after your teeth and at the same time you will protect your gums against gum diseases. Simple! Following a correct daily routine of oral hygiene will help keep healthy gums for longer. Healthy teeth and gums are very important – they make you feel younger and more attractive and are also key components in our ability to eat or speak. Taking care of our mouth is beneficial to our whole body. So how do you effectively protect your gums? A correct toothbrush is a must. If you have sensitive gums you need to have a softer toothbrush to reduce any further damage to your gums and discomfort while brushing. You may want to look into an electric toothbrushes especially the ones with a round rotating head, they should ease any pain you might feel and will gently massage your gums whilst cleaning your teeth. But the correct toothbrush is not everything – we cannot forget about replacing our toothbrush! There is nothing worse than trying to clean our teeth with a filthy 6 months old toothbrush… yes, I know it still looks fine… but believe me it is not! It is recommended that you replace your toothbrush every 2 months or as soon as you see any colour lines fading (if you have a toothbrush with a marker, which will show you when its time is up). 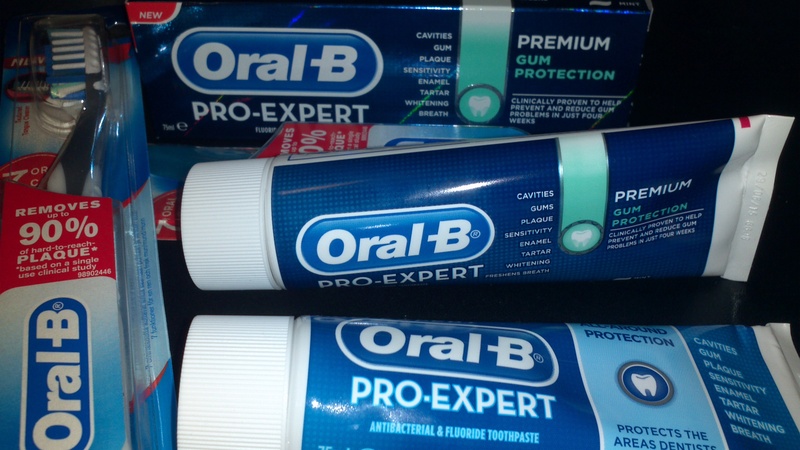 Oral-B helping to save your irreplaceables! Most of us do not floss, we say we do, in most cases we even want to do it but we don’t… we forget, we have no time or simply do not think about it… Flossing is the best way to clean the spaces between our teeth, which is crucial in order to maintain healthy teeth and gums. As important as flossing is, it is also very important to do it right. Incorrect flossing might potentially do more harm than good and damage our gums. So before you run to the bathroom in a panic because you were not aware how important flossing is, please make sure you know how to floss! Mouthwash can be pain free and, depending on the flavour you buy, can even be pleasant to taste. It helps to clean all these tiny little spaces where your toothbrush or even floss cannot reach. A mouthwash should be your best friend. It is easy to use and it only takes 30 sec for its effect to take place. Most of us don’t like or are even scared of the dentist. I don’t like them, Mark hates them and I do not know even one person who is a big fan of them but they are important and simply because we don’t like them we shouldn’t avoid them. Visiting your dentist at least once every 6 months for a routine check up is every bit as important as a correct toothbrush or toothpaste or even flossing. A dentist can detect any changes and fix small problems before they become a real problem. So from now on – love your dentist. So, to sum it up – brush your teeth at least twice a day (ideally after every meal but this might be impossible to achieve) using the correct and hopefully fairly new toothbrush and a good toothpaste – floss – use mouthwash and make friends with your dentist. Is your phone trying to kill you? Great tips! Commenting for myself and on behalf of BritMums and thanking you for taking part. Uuugh, it’s time for me to schedule a visit to my dentist…not a fun experience! LOL! I do floss at least twice a day, and always try to brush my teeth AND gums! I need to have extra care on my teeth as I have braces, it gets dirty 5x urgh. I try to floss everyday! My dentist once showed me the back of my retainer on the bottom of my teeth with a mirror, and that was enough for me to start flossing regularly! It was gross! I couldn’t agree more! we need to take good care of our oral health. specially bc a good and healthy smile really changes everything! I have always used Oral B.